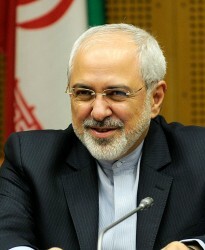 Iranian Foreign Minister Mohammad Javad Zarif will attend the conference on Syria in Vienna on Friday. This has been confirmed today by the Foreign Ministry in Tehran, according to the official news agency ISNA. Iran will meet in Vienna not only to Russia and the USA, but also to its nemesis Saudi Arabia.